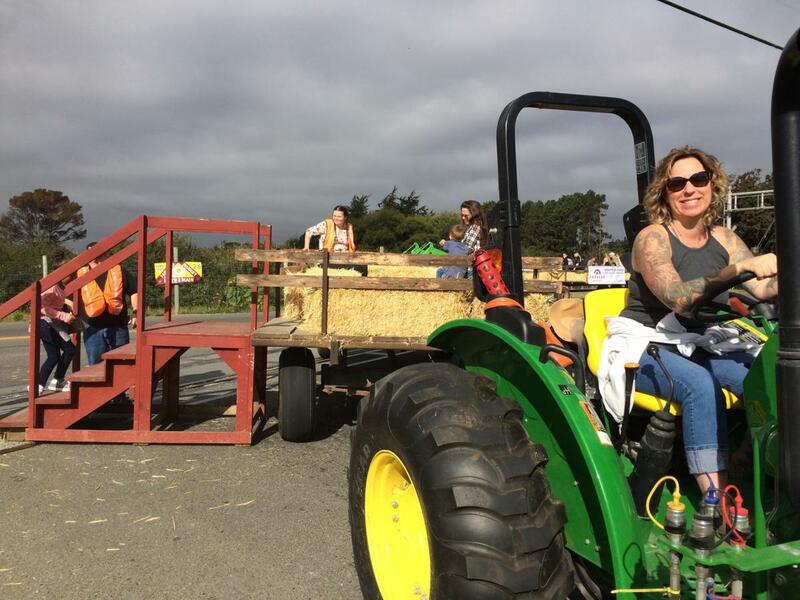 The Apple Harvest Festival in Fortuna will open Saturday October 6th 2018 with the Downtown Fortuna Street Fair and free hayrides to events all over town! 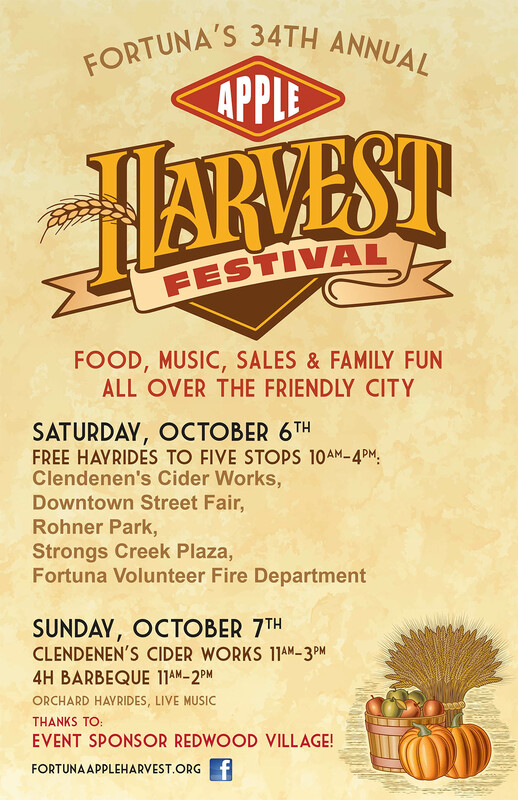 It continues on Sunday October 7th with orchard hayrides, live music and cider at Clendenen's Cider Works. See the complete schedule here! VENDORS! Get the Downtown Fortuna Street Fair Application Here! "The historic Apple Harvest Festival is a city-wide celebration of history, family, and farms, with plenty of apple and cider tasting!"